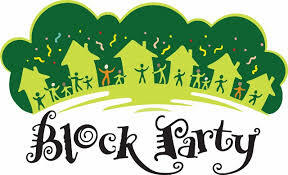 Many subdivisions hold neighborhood-wide events. These events range from entertainment to beautification. Homeowners come together as neighbors or with a neighborhood association to fully appreciate their community. Each of these events benefit from the use of dumpsters. 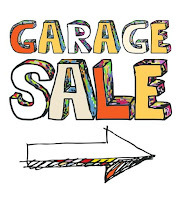 More and more subdivisions are holding neighborhood garage sales. These have turned into helpful ‘once or twice a year’ cleanouts for homeowners. Of course the goal is to get rid of the items that are difficult to dispose of without compensation, but there is ALWAYS something left over that didn’t sell. A roll-off dumpster placed in a common area is a perfect way for homeowners to toss those leftovers quickly. Care for a subdivision’s common areas is the responsibility of homeowners once the developer leaves. This is often organized by a neighborhood or homeowner’s association. The common areas include entrance, greenbelts, walkways, and sometimes parks and ponds. Flowers, trees, grass, and fencing are just some of the things that require upkeep. Your neighborhood might ask for volunteers to plant annual flowers or do tree trimming to keep dues low for all. This annual or semi annual occasion will be completed faster with a rental dumpster for debris. For more ease, several smaller bins in different locations will be convenient for larger neighborhoods with several common areas. Many of our Oklahoma cities offer Big Trash Pick Up once a year. However, there are towns that do not include this service. Neighborhood associations could take this opportunity of sharing the cost of a dumpster when big trash collection isn’t an option. This is something that could be scheduled alongside the common area maintenance, making the most use of the dumpsters. Neighborhood events aren’t always upkeep. Celebrations, such as holidays or the change of season, bring about reasons to gather around the park or pond with other homeowners and families. Egg hunts, picnics, and firework shows are just a few events that bring neighbors together. These type of events produce a large amount of debris that is too much for a few homeowners’ trash cans. Having a small bin for disposing trash keeps unwanted litter from blowing around. Also the dumpster can be picked up quickly to avoid unwanted pests. All of these neighborhood events can be fun and stress-free when you leave the trash to us!